I'm delighted that she agreed to blog for us today--talking about her grandmother, who was a model for a character in the newest novel. Welcome Maddie! 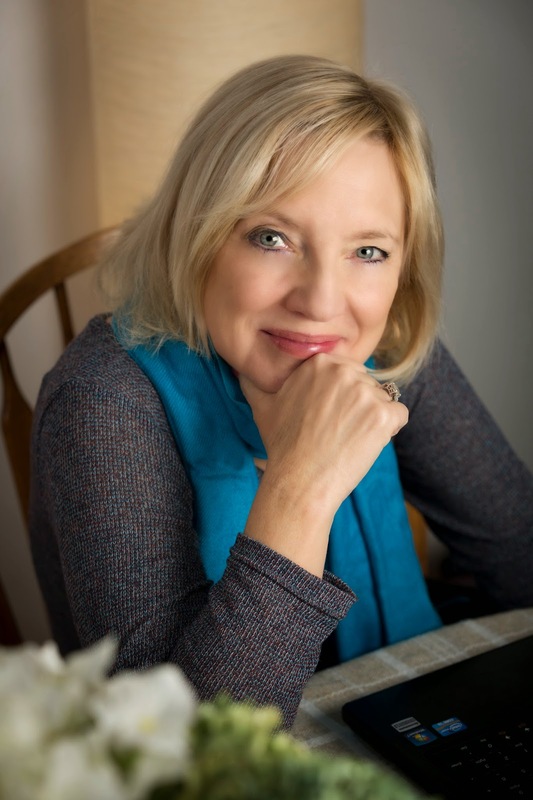 MADDIE DAWSON: My grandmother wasn’t like any of the other grandmothers. When I was a kid, all my friends had sweet, white-haired grandmas who looked like they were sent over by Central Casting. They wore loose, flowered house dresses and they smelled like lavender, and yes, they could bake a great oatmeal cookie, and could knit up a sweater or two in an afternoon. I got to see these grandmas up close and in action, when my friends invited me along on museum trips or out for “ladies’ lunches,” where we politely chatted and sipped tea with Grandma. Mine, however, was not like that. For one thing, she wanted to be called “Gigi” instead of Grandma, and she had short blond, bleached hair, a suntan, legs up to there—oh, and the best clothes you ever saw. She wore turquoise and orange and polka dots and hot pink—and she had shoes for every outfit. Closetsful of sandals and stilettos , as well as baskets of costume jewelry! Heaven. She also had three husbands (not all at one time), and two houses—a regular modern house with sliding glass doors leading outside from every bedroom, and a lake house that, near as I could tell, was built from old sticks and boards people had found along the road. The sun shone through those boards, and the water from the lake was reflected in wavy, dancing lines on the ceiling. The whole house miraculously stood on pilings planted in the lake, so you could walk out the front door and jump right into the water. We spent lots of lazy summers out there on the lake, floating around in the lake on inner tubes, watching the moon rise over the water while we told stories, and eating the fried chicken and boiled peanuts my grandmother cooked up on the rickety old gas stove that spat flames at her and every single day tried to kill her with its WHOOSH of gas. She was brave about that, though. I hid when she went to turn it on, but she would laugh. “Hasn’t got me yet!” she’d say. She stood up to my mother, too, and when I was 16 years old, Gigi declared I was “working too hard,” and whisked me off for a summer in Hawaii. Just her and me, a whole summer of adventures and traveling. She worked, and I worked at my tan and wrote stories that she read in the evenings. I got to see her bravery in action once more when the diagnosis of inoperable liver and colon cancer came. She was only 78, recently widowed but still running her own business, still wearing fabulous clothes, still going tubing on rivers that terrified me. She told me she wasn’t scared; she was ready for whatever came. When two months later, it came time to move to hospice, she brought in her file cabinets and closed out her business from her hospital bed, talking into the telephone while trailing an I.V. and using oxygen. The doctors and nurses kept shaking their heads. No one had turned their hospice room into an office before. Twenty-five years later, I wasn’t all that surprised when she showed up wanting to be in a book I was writing. In The Opposite of Maybe, she stars as the grandmother, Soapie, an irascible rascal of a grandmother who, at 88, dates a married man whose wife has Alzheimer's, cheats at Scrabble, and wants to be allowed to die without crazy medical intervention or nursing homes. She’s difficult, opinionated—and my grandmother’s light shines right through her. As any author will tell you, characters in books don’t tend to come from any one person we know in real life. They are a composite of traits and quirks of lots of people: our third grade teacher, the barista at the coffee house, the guy who fixed the computer that one time, and 70 percent people we’ve made up in her own heads. It’s just the way they arrive in our heads. Do you have a rescuer in your life, someone who showed you the possibilities of living outside the normal expectations, or showed you how to be brave? 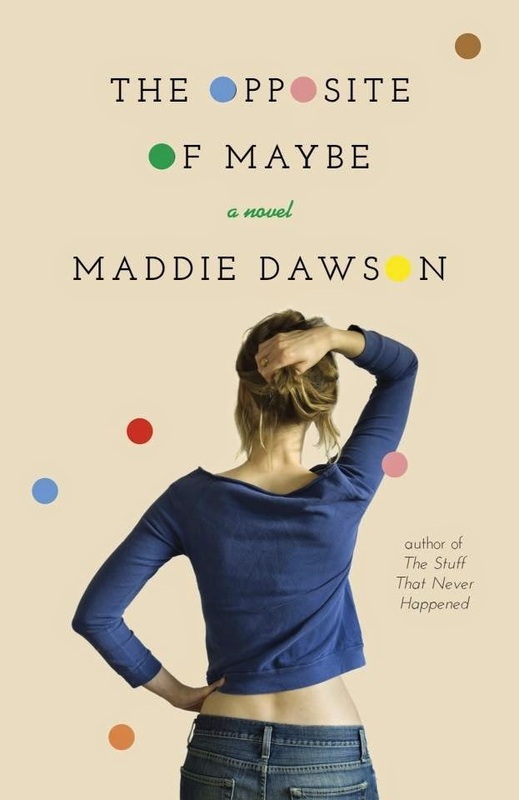 (AND for anyone in Connecticut, Maddie will be reading from THE OPPOSITE OF MAYBE at Burgundy Books in Westbrook at 1 p.m. on May 3 (her grandmother's birthday!) and at 7 p.m. at the Guilford Library on May 7.) For those not in CT, find Maddie on Facebook or her website. Your grandmother sounds like a gem . . . it’s a special thing to have such wonderful memories. I’ll be looking forward to reading “The Opposite of Maybe” just to see her alter-ego Soapie in action . . . .
Wow, she sounds like a character and lots of fun. Thanks for sharing such warm memories. Wow... your new book sounds great, Maddie! You've described my Auntie-Mom. She is elegant and stunning—and hugely funny. You would never know that she she's almost 80. She and husband #5 go camping all over the country in the mountains, desert, and at the seashore. They go fishing in Mexico a couple of times a year while getting their medical and dental checkups. She rescued me when I was little and did for me what my parents were unable to do. She still checks up on me and encourages me. She has always believed in me and let me know it. I am so lucky. I'm fortunate that I never needed to be rescued from anything. I did have a colorful aunt who lived near DC for many years (my uncle worked for the government), she had no children, but loved kids and treated all of us as adults, made us feel as though our opinions were important to her - even as she tried to influence any nieces and nephews who were the tiniest bit conservative that perhaps they ought to become more open-minded! She made wildly colored neckties that she gave to all the men in the family. I thought they were pretty neat; my dad, her younger brother, was a very conservative dresser and wore the ones she gave him maybe once each and then put them away (probably until the next time she was in town.) Her first husband was suspected of being a Communist sympathizer and was investigated by the HUAC, according to family lore. (I think she was, too, but I'm not sure. )The stress took its toll on my uncle and he died of a heart attack before finding out that he was cleared. I don't remember him, although there are pictures of him holding me in his lap. I was under two years old when he died. (She eventually remarried; her second husband was his best friend and coworker. )The last time I saw her was in the summer of 1976. She was fighting lung cancer. (As far back as I can remember, she had a hacking cough, which she always dismissed by saying "this is nothing; I've always been this way". She smoked around 3 or 4 packs of cigarettes a day for years.) My uncle had retired from the government and they'd been living in a midwestern college town; my uncle taught part-time at the college. She came to CT to stay with one of my other aunts, so she could go into NYC for treatments,as she felt she had more choices for cancer treatment in a big city. She would come to the northeast for a round of treatments, then return home, and come back here again for another round. I visited her a few times when she was in CT. At our last visit, I told her I looked forward to seeing her the next time she was in CT. (Her next treatment was scheduled for two months later.) She told me "well, honey, it's probably not going to happen, but if I'm still alive in two months, I look forward to seeing you." She died before having a chance to return for another treatment. Wow, sounds like your grandmother could give Auntie Mame a run for her money...What an inspiration! I loved both my grandmothers. My maternal grandmother bullied me into piano lessons and violin lessons (when I wanted to play saxophone), but I was very grateful later. She was terribly opinionated, though - about everything - which made having family conversations difficult. Everything turned into an argument. Now, my paternal grandmother was just as fiesty, but less aggressive about it. She grew up in the Depression, it a small Pennyslvania town. She was a "Rosie the Riveter" during WWII, raised two boys, and worked in the high school cafeteria. She had opinions - but you only heard them when asked, or when she just couldn't take it any more. She had a habit of pressing her lips together in a way that we all knew when Grandma wasn't happy. But she always picked us up from school if we were "sick" and we'd spend the afternoon eating tuna sandwiches, tomato soup, and watching her "stories" (General Hospital, One Life to Live, and All my Children - back to back to back). She let us make our own Play-Doh and play with it in the upstairs bedroom. When my mother complained that we were making a mess, she said, "They're kids. They're supposed to make messes. It's my house and I'll let them do what they want." She's also the woman who, when I said I wanted to be a writer and my family said I needed something more "practical" to do told me, "If it makes you happy, do it. Life's too short to be unhappy7." My crime fiction pen name (Liz Milliron) is an homage to her. What a fabulous recollection. I would have loved to have known Gigi. Oh Maddie, I just love this essay. Lucky you! Wish I'd had someone like that in my life or I'd love to BE someone like that for someone else. I look forward to reading the book. Maddie, what a lovely piece. I would love to have met your Gigi. I adored my grandmother, whose name was Lillian but was called Nanny. She wasn't glamorous or flamboyant, but she was, in her way, one of the bravest people I've ever known. Widowed when my grandfather died young, she raised four children on her own during the Depression. She was a teacher but retired and came to live with us when I was born. She was my caretaker, she taught me not only to read but that reading opened up the world. She was my playmate, my co-conspirator, the person I turned to for advice and comfort. She always told me I could do or be anything I wanted. She was my best friend until she died at 86--and she was brave about that, too. She suffered from congestive heart failure and after a couple of hospital stays, she said that whatever happened she was ready for it, and she never wanted to go to a hospital again. She died at home with my mother, my aunt, and me by her side. Gigi sounds like a wonderful gift in your life, Maddie. I aspire to be the type of grandmother she was. Unfortunately, both sets of grandparents were already dead when I was born, so I didn't get to experience that relationship, one that is so special. However, it's always good to hear about others' experiences, especially when it's as meaningful as yours. I love the title of your book, The Opposite of Maybe, and I look forward to reading about your grandmother's charactere. They are terrific stories, aren't they? I love the idea of thinking about being this kind of important person for someone else down the line! Maddie, I had one of each type of grandmother...funny-recently, my family has been going through old black and whites of my abuela. She was Colombian and left an arranged marriage to marry my American grandfather. She was always such a mystery to me...in her younger years I always thought of her as a Latina Lucille Ball. She was beautiful and smart and stubborn...and I hope she shows up in a story of mine someday, too.